The Galaxy A series has been going strong for over four years now, but this year Samsung has a bit of a revamp planned in order to stay competitive. And today, with the first new devices on the horizon, the South Korean giant’s roadmap has been detailed. According to ET News (via BGR), Samsung has a total of nine new models planned for release this year ranging from the Galaxy A10 to the Galaxy A90. A portion of these is likely to use Infinity-O displays similar to the one found on the Galaxy A8s. The remaining devices, however, will adopt one of Samsung’s notched panels – Infinity-O or Infinity-U. As revealed by previous leaks, the first three devices to market will be the Galaxy A50, Galaxy A70, and Galaxy A90. All three of these include in-display fingerprint scanners like Samsung’s upcoming flagships. However, rather than the more accurate ultrasonic solutions, OnePlus 6T-like optical ones are set to be present. Following these models, Samsung will continue to announce further models throughout the year. But unlike the aforementioned devices, these ones won’t feature in-display fingerprint scanners. 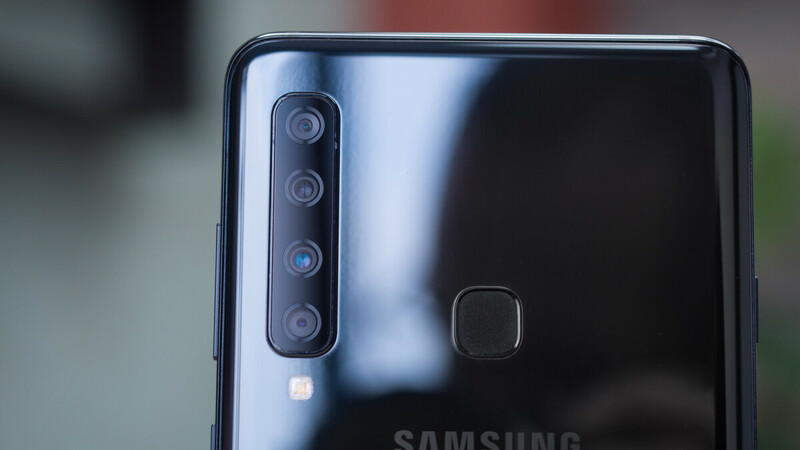 They will, however, have dual or triple-camera setups on the rear and potentially ToF (Time-of-Flight) cameras which will improve portrait photography and AR content. Samsung is yet to confirm when its first revamped Galaxy A offerings will hit the market. The report does state, however, that the company has already begun acquiring the necessary sensors. Furthermore, it expects the first models to start appearing in Q2 2019. Is not overpriced, it is a big name with huge R&D costs and a lot of people supports your device. Other cheep products and brands give nothing in innovation and ruin the market with free phones like Xiaomi Oppo OP and others. The 3D sensors will help out with both AR and VR. Remember the Tango days? The 3D camera sensors can be used for both AR and VR. You can generate 3D point maps for VR applications. Like tango days. "They will, however, have dual or triple-camera setups on the rear and potentially ToF (Time-of-Flight) cameras which will improve portrait photography and AR content." I wasn't replying to you. Haven't you learnt that by now? Samsung still doesn't have clear direction for mid range segment. I hope Ip68 certification and USB c remain on the A series. They were missing on the A6, a7 and a9, plus add much better cameras with ois. Pricing needs to be competitive, they shud launch their own online range like honor, wasn't the On series online only?.